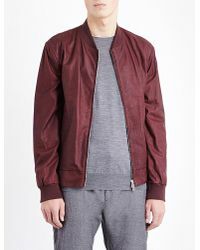 See more Brunello Cucinelli Casual jackets. We check over 450 stores daily and we last saw this product for £2,850 at Selfridges. 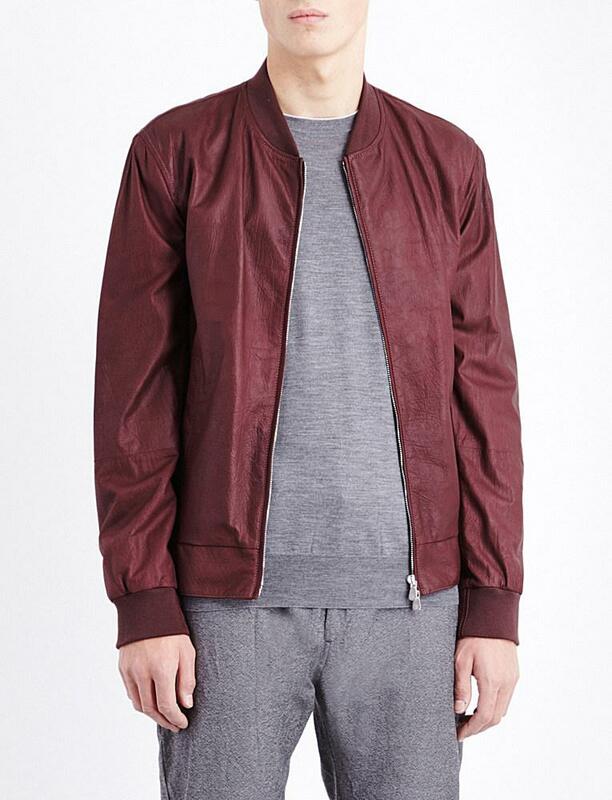 With a heritage spun from dyed cashmere, Italian design maverick Brunello Cucinelli delves further into his famed fabric innovations with this new season bomber jacket. Instilled with the tactile appeal of pure leather, yet crafted in faux cupro, its archetypal sporty silhouette is defined with a ribbed stand collar and popper button slip pockets inspired by the details of traditional track uniforms.